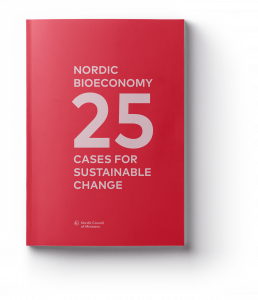 The Nordic Bioeconomy 25 Cases for Sustainable Change publication showcases 25 examples of Nordic bioeconomy solutions. We completed this project in partnership with the Nordic Council of Ministers in 2017. What is the bioeconomy, how much is it worth, and is it growing? Who are the pioneers and what exactly are they doing? What makes a great bioeconomy case? These questions and more were key to understanding and growing this nascent industry for Nordic policy makers, but the answers were unclear. Sustainia mapped out 25 of the most innovative and interesting bioeconomy projects in the Nordic region, based on a set of criteria developed together with the Nordic Council of Ministers. The five selected evaluation criteria were sustainable use of natural resources, technology innovation, environmental benefits, societal benefits, and business model innovation. The 25 selected cases represented in the publication seek to illustrate the diverse bioeconomy activities in the Nordic countries. 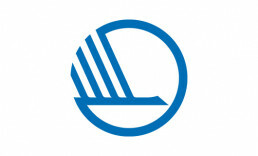 Within two months of release, the publication broke the Nordic Council of Ministers record on most downloads.